Keri Blair, Global Senior Artist, M.A.C Cosmetics is also a raving fan of the new formulation and its powdery counterpart, and emphasised the different approach it needs when it comes to application. 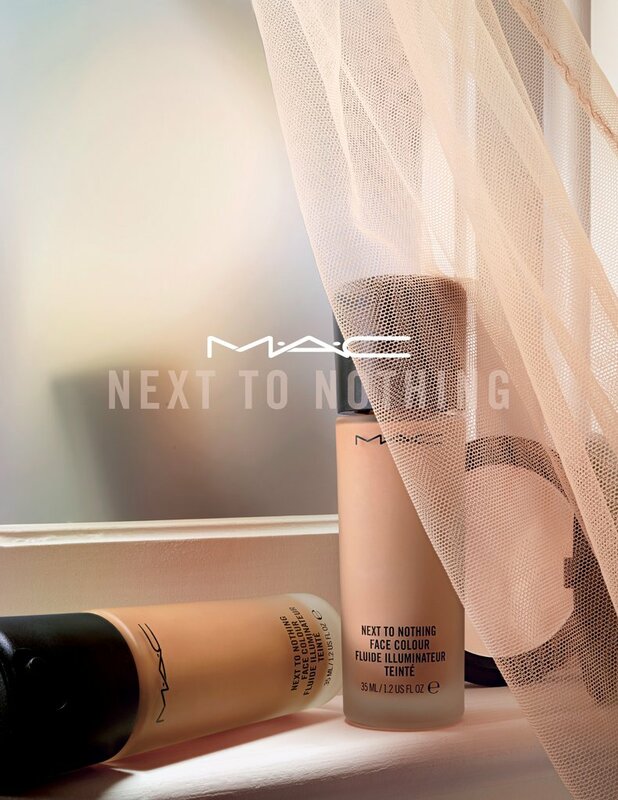 “With most M.A.C foundations, you can build them from a sheer to a medium to a full coverage if you stipple on or keep layering. With this product, it’s really important that you’re very directional about your application,” she says. It is best applied with a sponge or with one of the specialty brushes launched alongside the new formula. 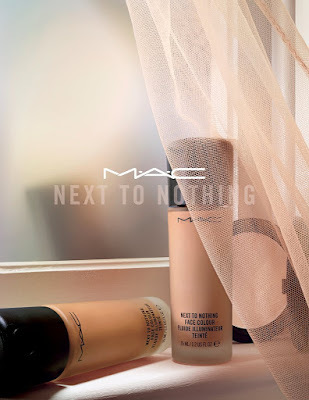 The biggest difference is that Next To Nothing Face Colour is not a traditional foundation; it’s truly a product that you use to either enhance existing skin texture, or use in conjunction with a foundation to create additional dimension. The accompanying powder gives it a slightly more velvety matte look, and is best reserved for “hot spots” where you have oil you want to control. The technology behind how Next To Nothing is manufactured allows the properties to lay differently on the skin, while preserving that ever-elusive luminosity that we all desire. It does have oil control, but it still gives skin a glowing texture, so even someone with drier skin can still wear it very comfortably. It also doesn’t have an SPF, which makes it unique and wearable for a wide array of people, especially if their skin is sensitive to sunscreen. Since the formula is so sheer, you can use each shade on a wide range of skin tones. To get shade matched, I would recommend consulting your friendly local M.A.C artist – definitely the industry professional I see most often! – so you can get the best shade match for you and find out a little more about best practice application and the like.